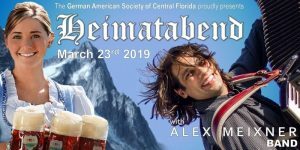 Join us for our annual Heimatabend featuring the incredible talent of the Alex Meixner Band. Dance music for everyone from German polkas and waltzes to Latin and pop. 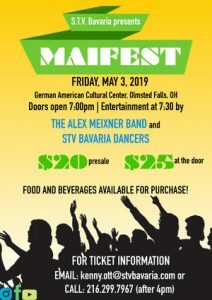 Wear your Tracht to this fun-filled evening with lots of dancing, good music, good refreshment, and Gemütlichkeit at our beautiful German Entertainment Venue!